Member families shall be permitted to make reservations for parties or groups. Advanced reservations are a must to ensure necessary lifeguard staffing and reservations shall be posted on a calendar at the pool. Parties must be booked a minimum of 2 weeks in advance. All party swimmers will be required to take a swim test. Private Party: $250, paid prior to the date of event. Reservations may be made via email and scheduled Saturday or Sunday mornings, from 10:30 am to 11:55 am. For a private party, additional pool members will not be permitted in the pool at this time. Party includes a maximum of 40 persons, swimmers and non-swimmers. General Party: $100 paid prior to the date of event. Reservations may be made via email and scheduled during regular pool hours. Reservations shall not exclude use of the pool by other members. 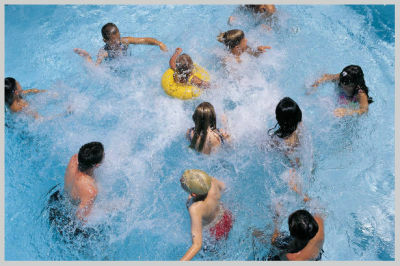 Party includes a maximum of 20 persons, swimmers and non-swimmers.